Hong Kong, the third largest financial center in the world, is an international hub of China. Hongkong is a blend of Chinese and Western cultures, which combines Chinese wisdom with western social system advantages. Traveling in Hongkong, you may find yourself stepping on an amazing land that has the reputation of "the Pearl of the East", "food paradise" and "shopping paradise". So there are lots of things you can do when traveling to Tibet, tasting the delicious finger-licking cuisines, shopping in the glorious street and enjoying the wonderful nightlife. Hong Kong is absolutely a good destination to start your Tibet tour. A Hongkong Tibet Tour will take you to explore the distinct colonial cultural heritage, classic Hong Kong movie sets, and world-class theme parks in Hongkong and enjoy the profound Buddhist culture and stunning nature view in the holy Tibet. If you are HK residents, there is no need to onbtain a Tibet Travel Permit to enter Tibet while the foreigner travelers have to get a Tibet Travel Permit to enter Tibet. 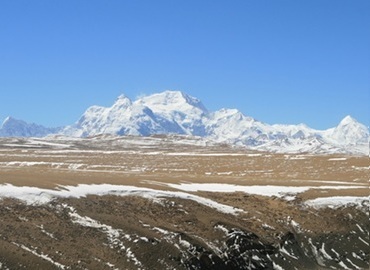 As there is no direct flights and trains to Tibet from Hongkong, travelers should transmit from the mainland China such as Guangzhou, Beijing, Shanghai and Chengdu to Tibet. As a local Tibet travel agency, Great Tibet tour has operated Tibet Tour more than 10 years. If you join us, we would like to customize your Hong Kong and Tibet tour according to your demands and offer you good tour services such as Tibet Visa Application, Tibet train and flight booking and Hong Kong Tibet tour packages and so on. As “Pearl of the Orient” and the shopping paradise, Hong Kong is a modern and dynamic city of China. While Tibet is a city with traditional customs and culture. There is a 6- day trip from Hong Kong to Tibet. During this trip, tourists can travel from the most prosperous harbor in the world to the Roof of the World in the Tibetan Plateau. There’s no direct flight between Hongkong and Lhasa. Tourists who want to travel to Tibet from Hong Kong have to fly to Chengdu, Guangzhou, or Xining at first. Many travelers choose to get to Lhasa from Hongkong as Hongkong itself is a major transportation hub and tourist desination. Among the routes to Tibet from Hongkong, travel to Tibet via Chengdu is the most recommended.